DJ Greenguy started hosting S.O.A. Radio in 2008, has done over 305 episodes of this radio show since. 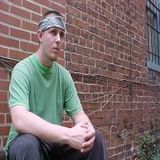 Check out all the social media at www.djgreenguy.com right now syndicating on 12 Radio Stations!